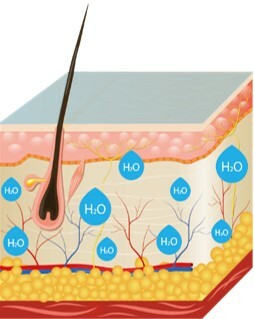 Hydra Touch H2 uses highly-concentrated hydrogen water to release the active oxygen and proposes measures against skin aging. 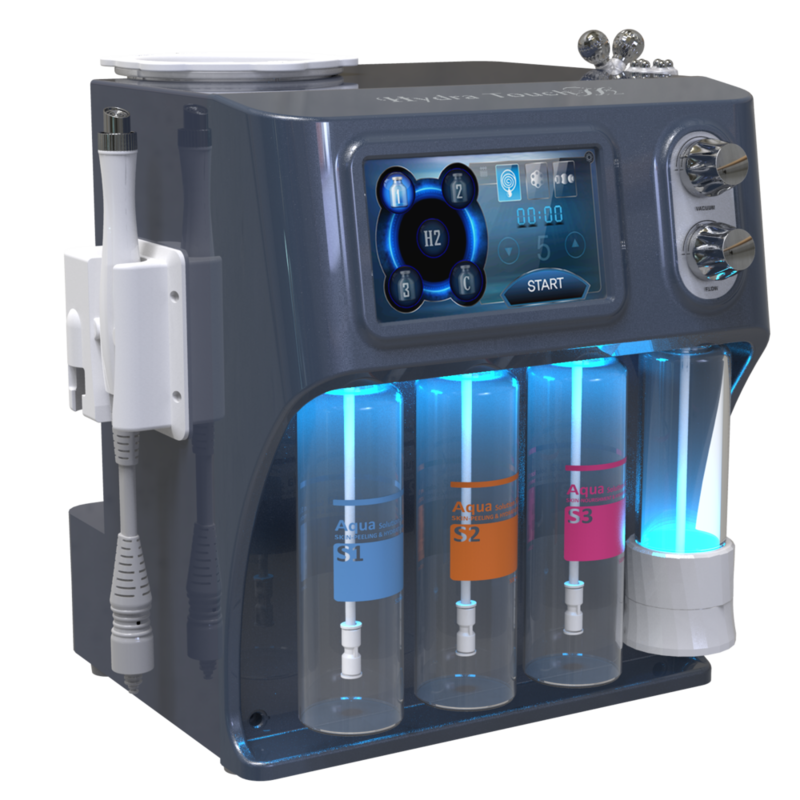 The Hydra Touch H2 uses a radial tip to provide hydrogen directly into the skin lesion, thereby eliminating active oxygen and reducing damaged cells by active oxygen to restore healthy cells. AS the peeing solution comes out from the center of the tip, it rotates with a string radial principle, and by sucking waste materials, it is possible to remove wastes from the pores without scratching or scratching the skin. Stimulates muscle, contacts and relax repeatedly. It also calms the nerves and boosts blood circulation. 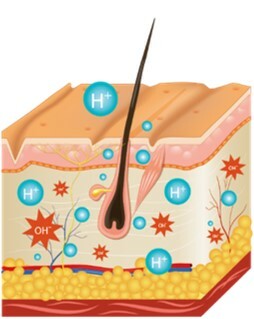 AHA, which collectively refers to the fruit acids present in nature, is characterized by its water-soluble properties. Used in skin care since BC to make safe and effective keratinization. Removes sebum and oxidized waste deeper in the pores by addition of Lactic Acid. 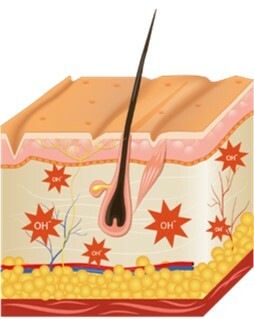 It is easy to penetrate into the skin as a lipid-soluble substance and has a function to prevent the stratum corneum from being formed by accelerating the bonding between keratinocyte Dissolve doxidized dead skin calms acne, rash and other skin problem by addition. Supplement nutrients and deep moisturizing on the cleaner skin by addition of Portulaca. – Applicable to broad areas like the forehead and the cheeks. – Improving skin elasticity of the cheeks, the chin, the neck, the neckline, etc., Improving skin complexion.